These little DIY Valentine’s Day treats make the perfect little Valentine’s Day Party Favor! Is your child having a Valentine’s Day party? 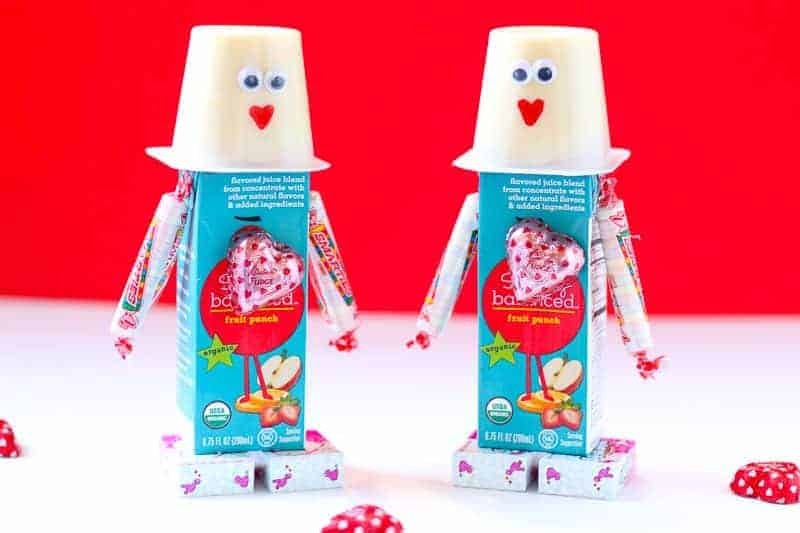 These DIY Valentine’s Day Snacks make the cutest Valentine’s Day Party Favor! The children will light up over this homemade candy/juice/pudding cup robot! They are super easy to make! Valentine’s Day is right around the corner and I have been busy making this darling little Valentine’s Day Party Favor for each of the children in my mother’s classroom. 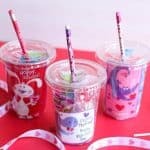 Last year I made DIY Valentine’s Day Cups filled with fun goodies. The children were very excited over them and absolutely loved them. This year I wanted to create something a little different. I thought these fun Valentine Robots were perfect. They are easy to put together and took little time to make. I hope your child’s class love this little Valentine’s Day Party Favor! I know my mother’s class will. I can’t wait to bring these little homemade Valentine’s Day treats to them. They are going to be so surprised! Is your child having a Valentine's Day party? 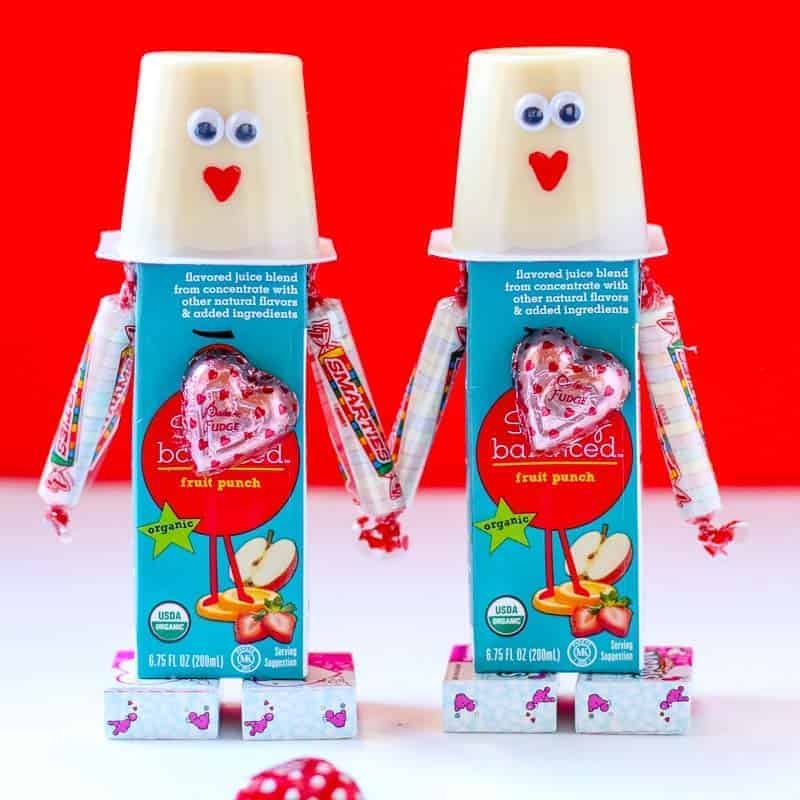 These DIY Valentine's Day Snacks make the cutest Valentine's Day Party Favor! 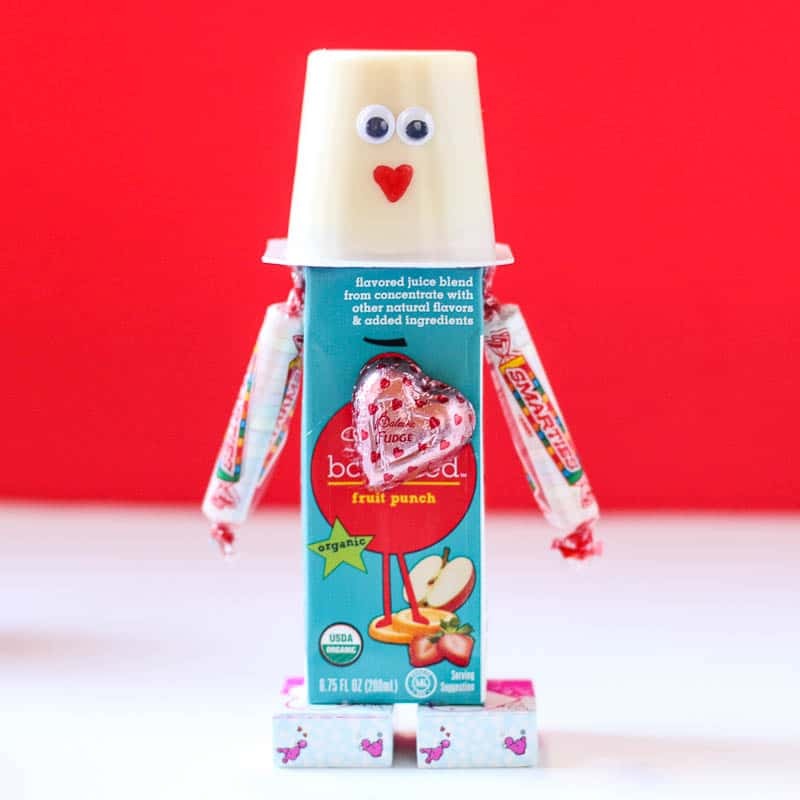 The children will light up over this homemade candy/juice/pudding cup robot! They are super easy to make! Glue 1 chocolate covered heart to each front of juice box. 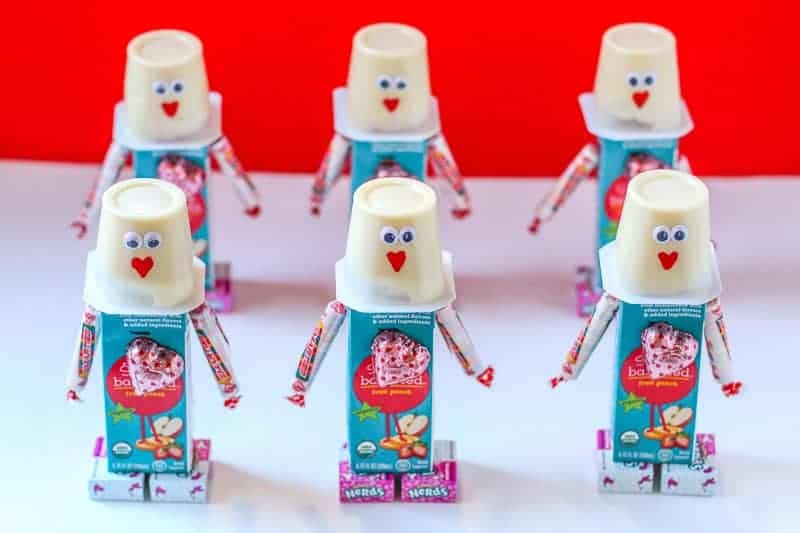 At the top side of each juice box, glue a smartie to create arms. Glue 2 nerds candy boxes and the bottom of each juice box to create feet. Stick on 2 wiggly eyes on each pudding cups. Draw a heart mouth with sharpie on each pudding cups. Glue 1 pudding cup on top of each juice box to create head. So,so adorable! This is the cutest! Oh my goodness – these are the CUTEST!! My niece would have such a fun time putting these together! So fun!